I just wanted to send a quick note thanking you for all your help with this Heart2Heart Run, Run Rudolph fundraiser. Hopefully with a final push over the next few days we can help them reach their desired goal. For those of you that ordered the light up necklaces we ended up going with a less expensive options so those necklaces are available for $1 each in the High School office for you to pick up and then we will have the remaining ones at the race. 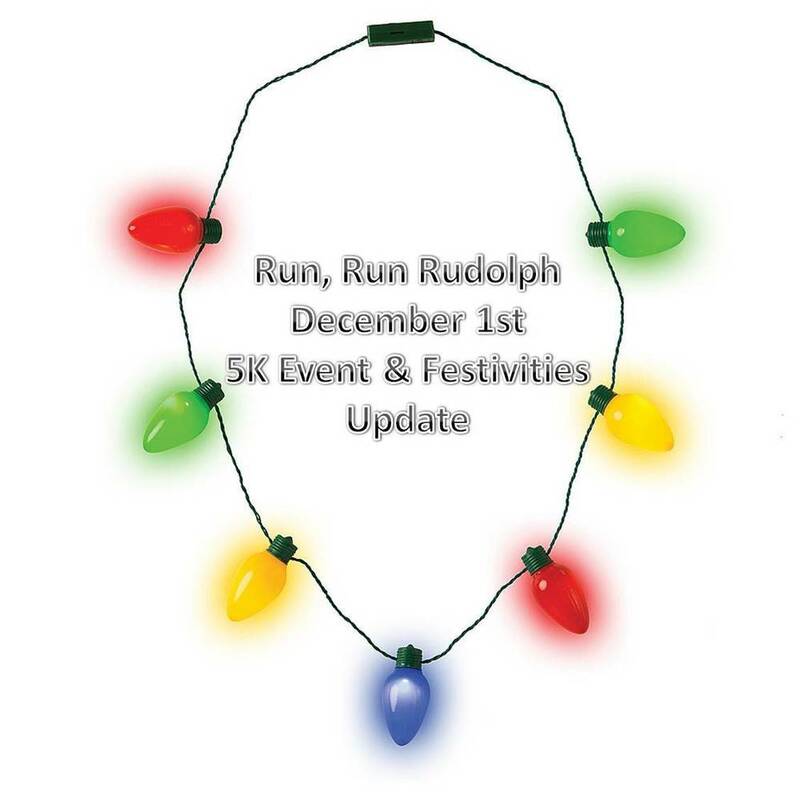 For those of you that ordered Run, Run Rudolph t-shirts they should be available by Thursday afternoon. For those of you participating in the 5K we will get started at the conclusion of the tree lighting ceremonies. All of these times are estimates so we will probably try to hold off starting the race until 6:30 to allow time for the tree lighting and just in case there are people who are showing up just for the run. The kids face painting area will take place at the big pavilion near 125. This will be available at conclusion of the parade. The race will start in front of the white maintenance building (old fire station) and this will also be the location of the post race snacks.